From Morgan Gilbert to the design of Graham Turner. 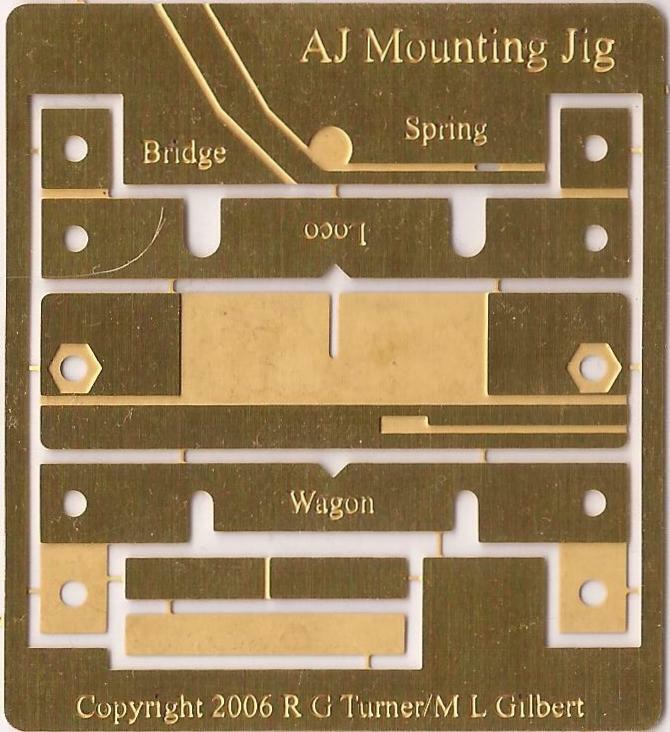 This jig allows the modeller accurately to attach Alex Jackson Couplings to wagons, coaches and locomotives. To download instructions for this jig click here. A Combined Bending Package including the jigs necessary to form the couplings is available as MJT 2478. 0.28 mm (11 thou) guitar string wire to form the couplings and 1mm soft iron wire to form the magnetic dropper are available as MJT 2476 and 2477. A starter kit with everything necessary to form Alex Jackson Couplings for coach bogies is available as MJT 2479. Information about the Alex Jackson Coupling can be found from various sources, notably the book Alex Jackson The Man And The Coupling, by Dave Booth and others and published by the Scalefour Society . Considerable detail is available from the Manchester Model Railway Society by clicking here.